Site Equip have 30 years experience in septic tank waste removal. We offer a range of wet waste disposal across the South East of the UK including Septic Tank Waste Removal. What is Septic Tank Waste Removal? A septic stank is composed of two parts for removing waste from a household: a septic tank and a drain field. Septic tank waste removal is vital in ensuring that your septic tank does not overflow so that it can still be used for your welfare and sanitation needs. This is performed by a tanker which can remove the waste from the septic tank by pumping it. The waste is then disposed of properly at wastewater treatment plants. 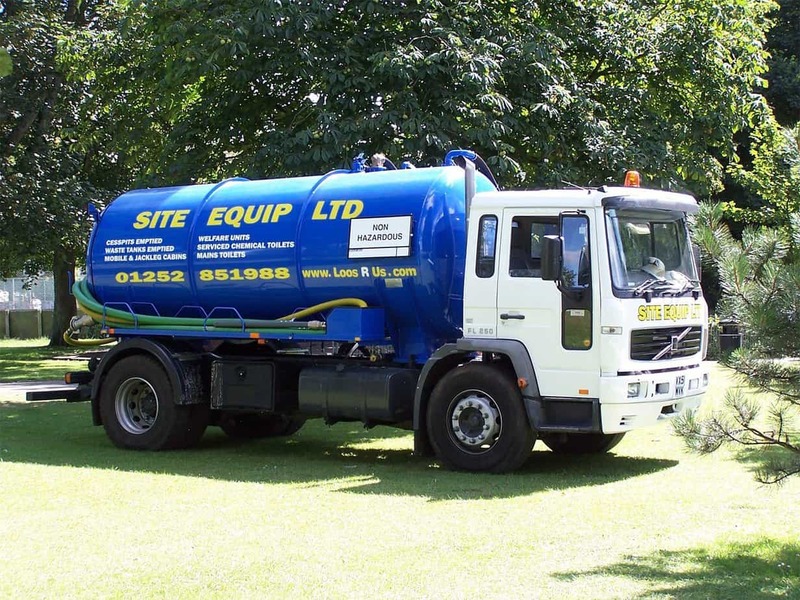 With two depots in Hampshire and Kent, Site Equip can take care of your septic tank waste removal across Hampshire, Surrey, Berkshire, Wiltshire, West Sussex, East Sussex, Kent, London and Essex. Our expert sales team will be able to advise you on the best solution for your septic tank waste removal or any other liquid waste disposal that you may need. Please feel free to give our friendly sales team a call on 0800 371994 for more information about septic tank waste removal. Alternatively, you can email us on the address at the top of the page or fill out an enquiry form below. We will get back to you as soon as possible!